ZUBROWKA Bar Tender Team Cheers! The Thrill Brief: Ignite a Branding Experience with exceptional Team Building Activities. As a fun session indoors and outdoors in The Hunter Valley. 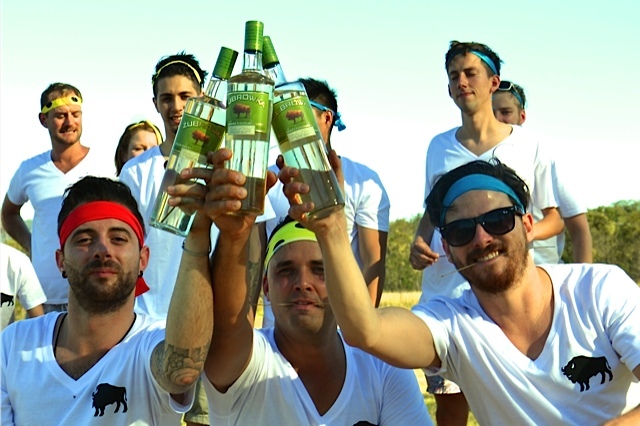 Incorporating an Amazing Race with Zubrowka Bison Grass Polish Vodka for Australia’s most talented mixologists and bar tenders. Love it! Off to work we went. Designing and creating a range of activities that demonstrated the qualities and talents of the contestants. THRILL SOLUTION: Custom designed Amazing Race at Cicada House Milbroke property in the Hunter Valley. Cooking with infused Zubrowka Vodka challenges. Bison Grass Challenges, Mental Test, Cooperation, Strategy and Suntory reknown Swagger fun incorporated! Further news from The Time Out Crew gives the results.